Did you watch PBS when you were a kid? I did. I certainly can’t remember all of my viewing habits, but I can tell you unequivocally how comfortable, safe, and accepting it felt even as a toddler to be joined by furry friends on Sesame Street every afternoon. Or how I would run to grab my sneakers to tie and sweater to zip up when Mister Rogers would come walking through his door to open up windows to the world around us and remind us what it mean to be a kind, caring person throughout this thing called life. I remember when Big Bird and I both needed clarity about Mr Hooper not being on Sesame Street anymore and how it’s okay to feel sad about someone leaving our lives, that grieving is a natural part of our emotions when someone dies. To this day I can’t see that scene where the grown-ups tell Big Bird that Mr Hooper isn’t coming back without feeling the same thing I did all those years ago. The handling of the topic, from producers to writers, to cast and crew, remains incredible. Beyond those shows, I can’t recall too much else that I watched. Maybe Romper Room, and when I was older a show called Square One, mostly because of a series within the series called Mathnet, a Dragnet spoof where math problems were used to solve mysteries. And now 30+ years later, I can say with certainty that there’s never been a better time to be a PBS parent. We still get new editions of classics like Sesame Street, going strong at almost 50 years old and still teaching not only basic skills like shapes, numbers, and letters that prepare a child for school, but lessons to hold onto our entire lives, such as kindness, acceptance, and staying true to yourself. And my wife can attest to the childlike glee I get when we see familiar faces like Bob or Gordon pop into even some of the newer episodes. Likewise, the values, compassion, and wisdom of Fred Rogers live on in Daniel Tiger’s Neighborhood as the residents of the Neighborhood of Make Believe, previously known in puppet form on Mr. Roger’s Neighborhood, spring to life in full-color animation. From sharing, to helping, to dealing with feelings like sadness, jealousy or anger, the lessons of Daniel Tiger’s Neighborhood are essential not just to a child, but to all of us. Our daughter is only starting to speak, but one thing she’s almost guaranteed to utter is the musical tones that accompany the songs in Daniel Tiger when it’s on. Of course, there’s so much new and exciting on PBS too. While my son enjoys the derring-do and superheroics, I laugh at all the hilarious situations and jokes as WordGirl tries to put villains, bad grammar and misused words to rest. Ready, Jet, Go has not only kindled a fascination with space exploration in our son, but it has captured the attention and awe of our not quite two year old daughter as well. And, I for one, feel I’ve learned so much as an adult about our universe and the vast possibilities that await us beyond the stars thanks to Jet, his parents and friends, and Astronomer and Host Amy Mainzer. Nature Cat revels in its silliness while showcasing how much fun can be had and how much can be learned simply by heading out to one’s own backyard, along with a little help from our imagination. It also features, I’m convinced, at least half of the cast of SNL. Chris and Martin Kratt leap from live action exploration of the animal kingdom into an animated world that stresses the valuable balance of our ecosystem and the role that each animal plays within it. Along with that, of course, comes with the threats to that delicate ecosystem by human kind and those who wish to prey upon the animal and natural world for their own greedy gain. The Kratt Brothers have not only transformed our son into a walking animal encyclopedia of habits and interaction, but have made him aware at such a young age to think about his actions or the actions of others, affect the world around us. And of course, there’s my favorite, Odd Squad, which I’ve gushed over many a time before, about an agency run by kids that uses math skills to solve problems of oddness in the world. If it’s a man with a fireplace in his stomach, a person with a laugh track following them around, or dog-obsessed villain looking to take over the world, Odd Squad is on the case. With it’s clever writing, excellent acting, and delicious sense of humor, any adult should be watching this show, regardless if there’s a kid in the room with them. Then, there’s PBS Kids Family Night, which, in our household at least, has become the modern day equivalent of The Wonderful World of Disney that my wife and I enjoyed watching each week as kids. Family-friendly specials, movies, or marathons every Friday night (and rerun Saturday and Sunday night if you miss it) on the 24/7 PBS Kids Channel that have become ritual viewing for us. I pull out the air popper I bought almost 15 years ago, make a bowl of popcorn and we all gather in the living room for anything from Tiger Family Trip to Odd Squad the Movie, or Wild Kratts: Hero’s Journey. Our kids are already chomping at the bit to see the upcoming Ready Jet Go: Return to Bortron 7 coming up on a Family Night edition soon. We have basic cable, and when we downsized (long before we had kids), we never looked back, finding all we needed in our television viewing right there on that handful of stations. And when we did have kids, PBS (and now PBS Kids, their 24/7 accompanying channel) became the default for children’s programming. PBS matters. It offers a gateway to the world for anyone with a television set. No premium channels and the associated pay along with it. Whether it’s arts and culture, or math, science, and reading – knowledge never goes out of style. It’s what allows us to understand one another, to find new ways to think, to move our world forward. And I can’t think of a greater way to use the power of broadcasting than to by empowering our children and future generations with the tools to keep our world, our society, ever moving. When something’s odd in your neighborhood, who ya gonna call? Not the ladies currently carrying the torch either. Nope. You’re going to call a group of kids who work for an organization run by kids to investigate the odd. I make no bones about my love of the show, which the whole family watches on PBS Kids. Like many great programs, it’s produced out of Canada (which might also explain the appearances by several members of the Kids in the Hall). Created by Tim McKeon and Adam Peltzman, it’s also co-produced by the Fred Rogers Company (you know, of Mr Rogers) and features a cast of incredibly charming young actors who work for the titular Odd Squad, solving odd incidents with the use of math. What kind of odd incidents? Well, the kind that certainly appeal to the imagination of a child…and most parents with a good sense of humor – people whose heads turn into lemons upon drinking lemonade, giant cat-spider hybrids, voice-overs following you around. 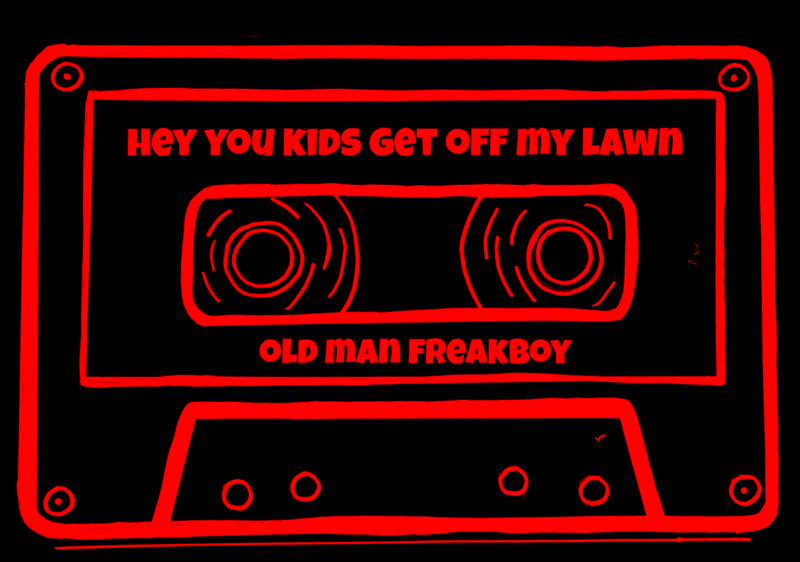 If it’s odd enough, you call these kids. 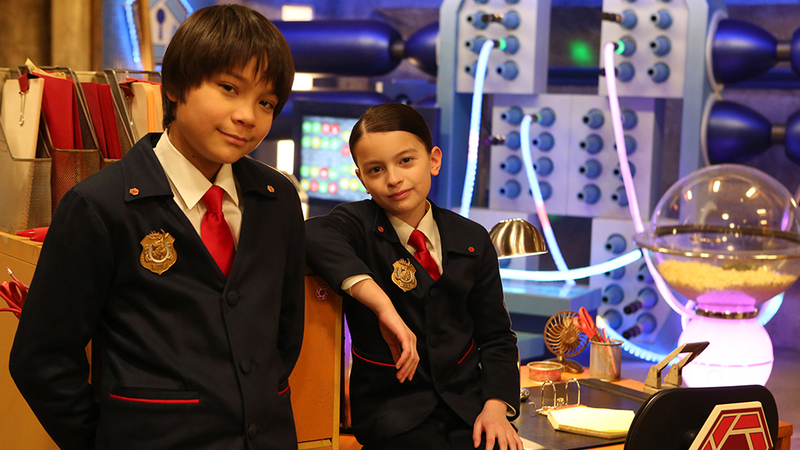 Though the series premise allows for various Odd Squad agents to get their day in the sun, the core team is made up of four primary team members, partners Olive and Otto, their boss, the usually yelling Miss O, and Oscar, providing the team with gadgets like a Door-inator, the Shrink-inator, the TV-get-out-inator, and, well, you get the idea. You notice the O pattern in the characters yet? It keeps going. Octavia, Olaf, Oren, etc. The kid characters themselves hover just around the pre-teen age or younger, leaving the goofy and often clueless supporting characters of the episode (someone in trouble, a villain, etc) to just as well-cast adult actors. Together, Olive, Otto, and other members of the team find themselves stopping the plans of villains like Odd Todd (who wants the world as odd as he is), Fladam (who stepped on a cube building block as a child and now sets out to flatten all cubes into flat squares), The Shapeshifter (who can change her shape into anything from a tree to another person), among many many other great adult guest stars. 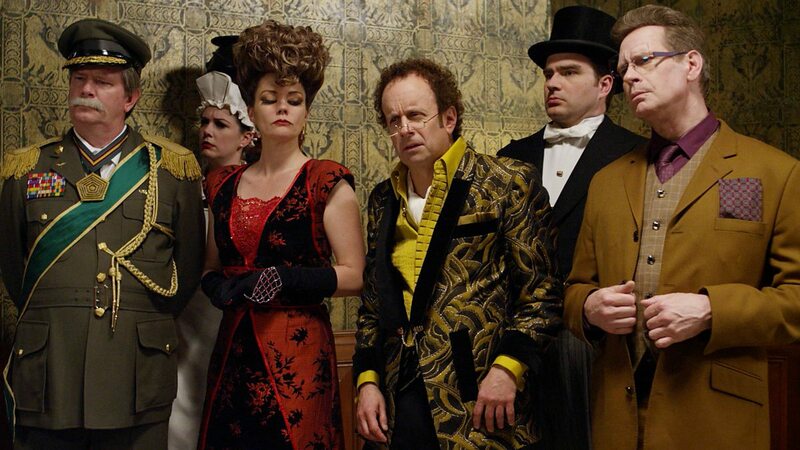 There’s even one episode, the Agatha Christie/Clue-inspired “The Crime at Shapely Manor” that features 3 out of the 5 members of The Kids in the Hall – Kevin McDonald as Lord Rectangle, Mark McKinney as General Pentagon, and Scott Thompson as Professor Square. But to stop the dastardly villains, the keys to cracking their schemes usually lie in solving any number of math problems, be it what color will Oscar’s infected hand turn next when one sees blue, blue, yellow, blue, blue…you guessed it, yellow, using measurement to stop an on the loose blue blob, or learning how to use a calendar to send a time duplicate of one of their own back into the past. And these math problems are often woven into the storyline so seamlessly that even I don’t seem to notice I’m getting a lesson in the subject I needed the most help in back in school. Yes, this show provides some valuable math lessons for little ones in a way so entertaining that they’re bound to remember. My son brings up patterns all the time and I’m convinced that he picked it up from the numerous problems agents have had to solve through the use of patterns in the course of the series. But he doesn’t realize that. From his perspective, he’s watching an action-packed adventure with kids stopping threats to the world. The lessons just happen to come along the way amid the derring-do. Owen, Oscar, Olive, Otto, Oren, Olaf…see a pattern? 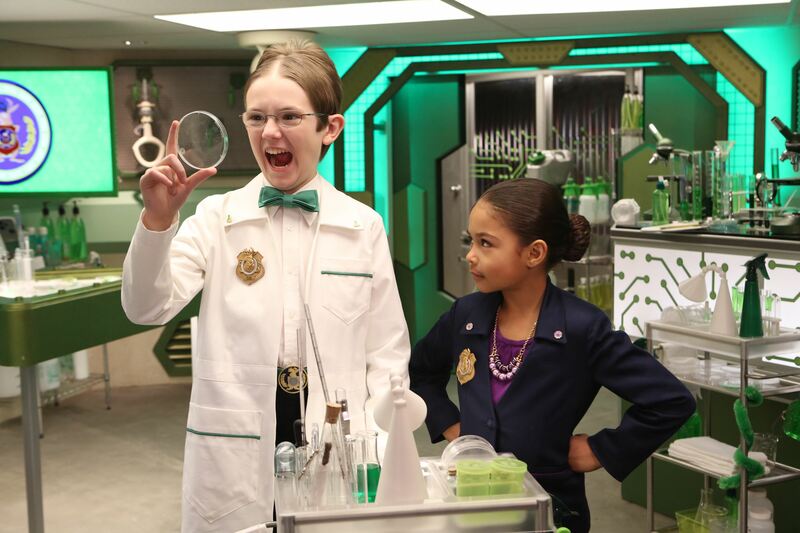 Here, in the world of Odd Squad, kids rule. They’re the ones in charge. They’re the ones you call for help when something is incredibly strange. That sense of empowerment is irresistible to both a child and the child still alive in each of us. In January 2015, Forbes reported that the show’s special Odd Squad Saves the World reported 3.7 million viewers watching the broadcast on PBS with 44 million others watching the episode online. It is no wonder that Odd Squad is such a hit for PBS across age ranges, making it no surprise that a second season is now set to get well underway on June 20, 2016. However, that new season won’t come without changes. On Memorial Day, the episode that PBS promos touted as the one where “everything changes” lived up to its hype – with cast members Dalila Bela and Filip Geljo (Olive and Otto, respectively) receiving promotions to become a new “Ms and Mr O” (though, no Otto, you don’t have to get married) to co-run a branch of Odd Squad elsewhere. I had a feeling this would happen sooner or later, as a show whose entire premise revolved around an organization run by kids can only keep kids in those roles for so long before they age out of them. Though the premise also lends itself to its own self-sustainability. 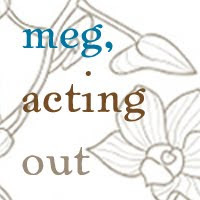 As some cast members grow up and out, the show revolves around the organization, meaning new casts, new agents, new kids can come and go as the series grows. That’s not to say that the fun and charming acting of Bela and Geljo won’t be missed. They are a core reason for the show’s appeal. Though I’m sure both would likely want to be moving toward other material elsewhere in the way of film and television eventually anyway, it would be nice to see them from time to time in a guest appearance if the stars align. I should note as well, that this episode that changed it all also could lead one to believe it’s the end (at least for now) for recurring villain Odd Todd, played wonderfully and humorously wicked by young actor Joshua Kliminik. As Olive’s former partner turned bad guy out for revenge, and Olive no longer a regular, it seems unlikely Odd Todd has much reason to hang around so much anymore. It remains to be seen who will take Olive and Otto’s place as the show’s new primary agents, but while the casting of the show thus far has never failed, those are some big blue suits and red ties to fill. It’s comforting to know that the entire cast is not getting an overhaul, with Sean Michael Kyer (Oscar) and Millie Davis (Ms. O) remaining in their roles, hopefully alongside other characters like the hilariously droll lunch lady Oksana or the incredibly serious Dr. O.
I felt like I was watching a finale to any long-running prime time series where viewers inevitably get attached to the characters. When Otto and Olive hugged Ms. O and resident techie Oscar got ready to send the duo on their way, the often humorous actor Sean Michael Kyer had a twinge of sadness in his voice that echoed the same feeling inside many of us watching at home. Was I really getting this invested in a live action PBS Kids show? I was. I completely was. And that is due, in no small part to these wonderful young performers, and the writers, directors, and crew that help them bring this goofy, fun world to life each day. This is not a kids show slapped together and called a day. It’s a goofy, fun, educational, but always entertaining romp that spans age groups and demographics with evident care put into each and every episode. This show is so entertaining, so amusing, so well written and well acted (and seriously…the odds of finding an entire cast of great kid actors…it doesn’t happen often), makes Odd Squad so darn charming that you don’t even need to be a parent to enjoy it.